Hedvi Temple is an excellent temple. 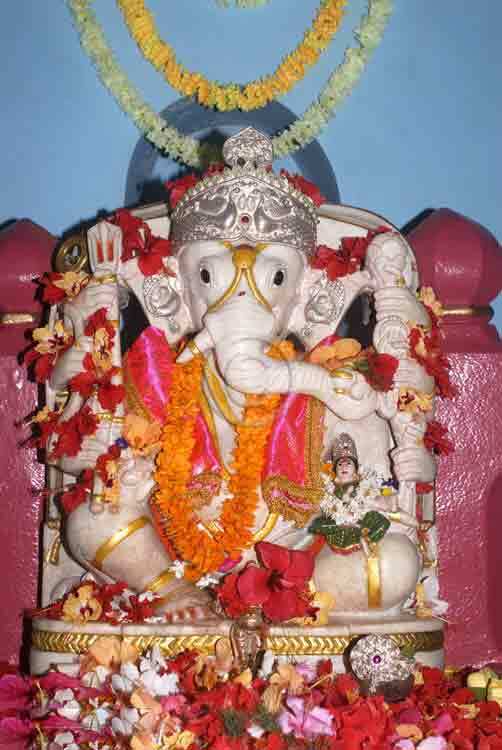 Name of this Ganesh is 'Dashbhuja Ganapati'. 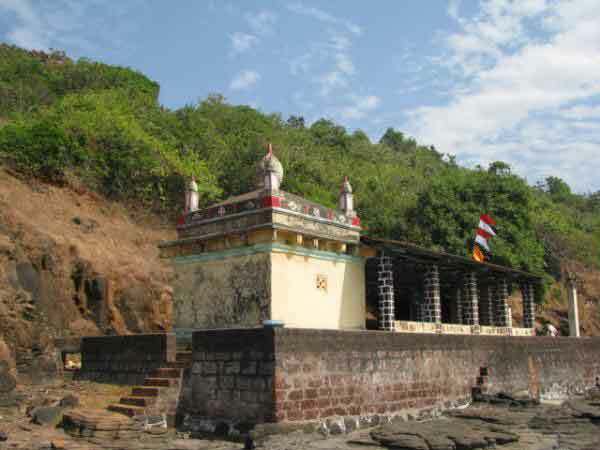 This 'Laxmi – Ganesh Temple' is not only ancient but also rare. This temple may have been erected in the period of Peshwa. The deity has been founded on the top of Mountain. 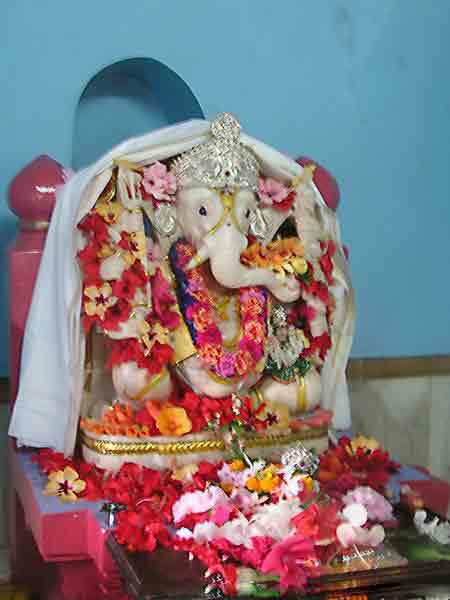 The Ganesh idol has been carved in white stone. Such stones are found in Kashmir region. The specialty of the idol is that this is 3 feet high and it has 10 hands. This majestic idol is on a seat of 2 feet. This idol is very charming. 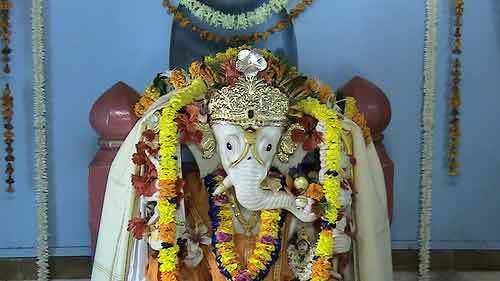 There is big ceremony of birth of Ganesh from Shukla Chaturthi to Shashthi in Magh. There is procession of Ganesh in chariot. 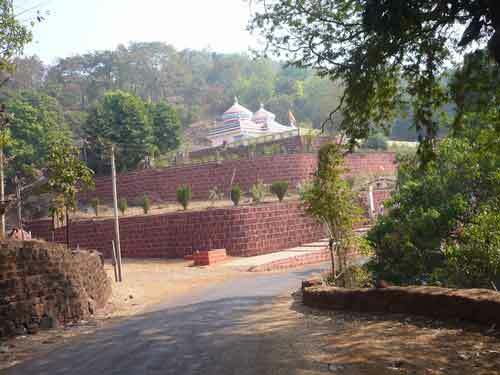 There are no hotels or lodges so tourists have to stay either in Chiplun or in Guhagar to visit this place. Though tourists will not get accommodation and food according to their choice, they can get it from local community. There is one more temple. 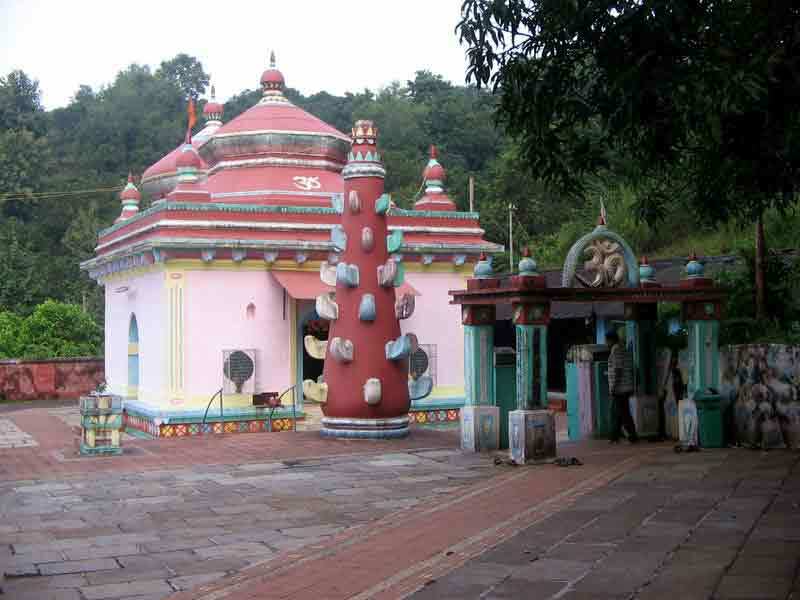 It is Uma-Maheshwar temple in Bamanghal. 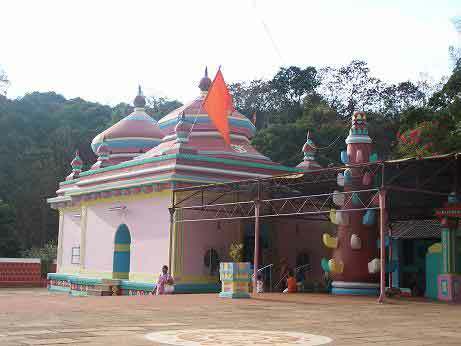 This spot is about 3 kms from Dashbhuja temple. Behind Uma-Maheshwara temple if you climb a small slope and reach plateau, you can witness a natural wonder. Here a small gorge, a meter broad and 10 meters long has been naturally formed. At high-tide, sea waves rush into this gorge and collide on rocks and a water column of about 15-20 meters rises from this gorge. Listening the thundering noise of waves colliding on rocks and get a sprinkle shower from the rising water column is an experience to cherish. Hotels are available near temple or guhagar. 30 k.m. Guhagar (Chiplun - Guhagar road) It is possible to take Aravli Fata on Mumbai Goa highway to reach here. Aravali station is nearest rail head.